This is another well-researched book by the author of Studebaker's Hidden Treasure. 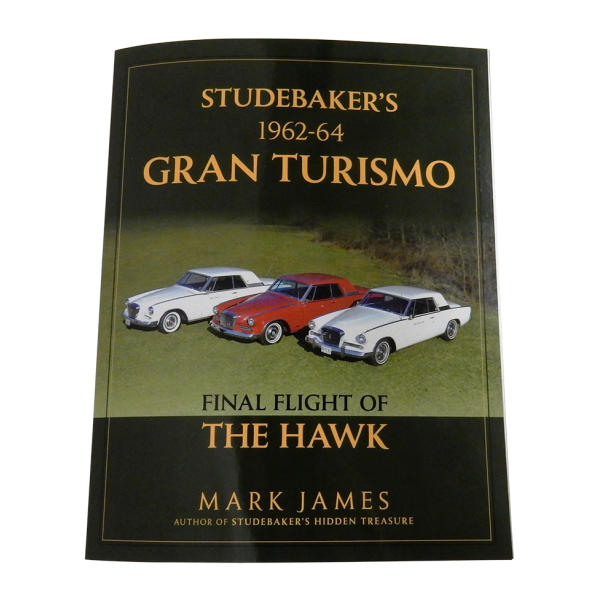 Subtitled Final Flight of the Hawk, this book covers the final years of GT Hawk production and pulls in details of the Studebaker company's final years of operation. Filled with beautiful pictures throughout, this is a must-read for all Gran Turismo Hawk lovers! A collection of over 120 photographs presenting a pictorial history of the Hawk. Includes mostly ori.. This limited edition book on Studebaker's fabulous Golden Hawk is written by long-time enthusiast an..